I would have stayed immersed in this warm water an entire day! The sulphurous waters cascade at one point over natural limestone shelves. I have just returned to Paris from Italy, where I spent the end of the summer. I have discovered many new things that I would like to share with you in the upcoming weeks. As every summer I went to one of the hot spas that can be found in Southern Tuscany. 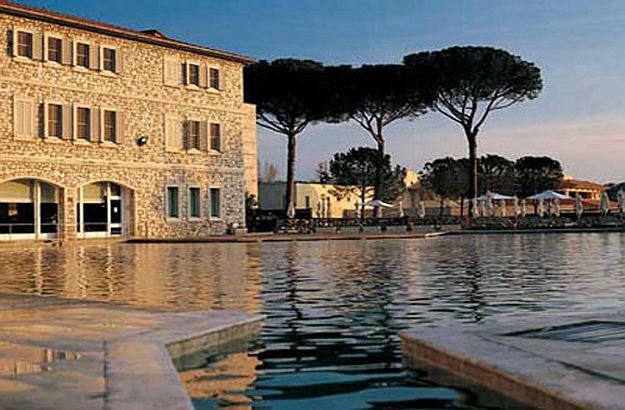 This year we chose Saturnia, which is probably the most famous one. With a name like this, “Saturnia”, you might think it were another planet… Well, in a sense, the place is quite extraordinary. 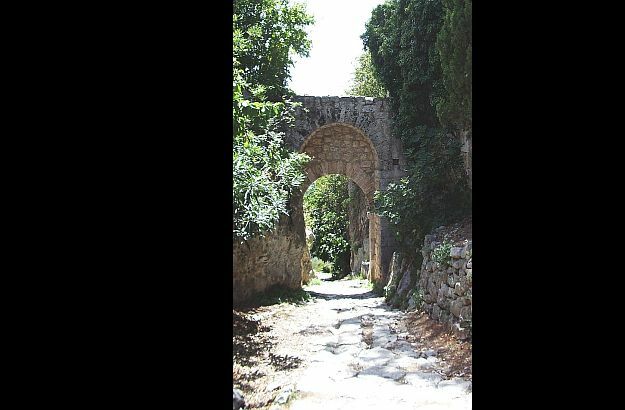 I have been there several times, but I first discovered it when I was 30 years old, after attending a private piano concert given at a villa near Florence. My friends and I left the villa after nightfall and headed straight for Saturnia, where we arrived at around 1am and stayed until dawn. It was pure magic. 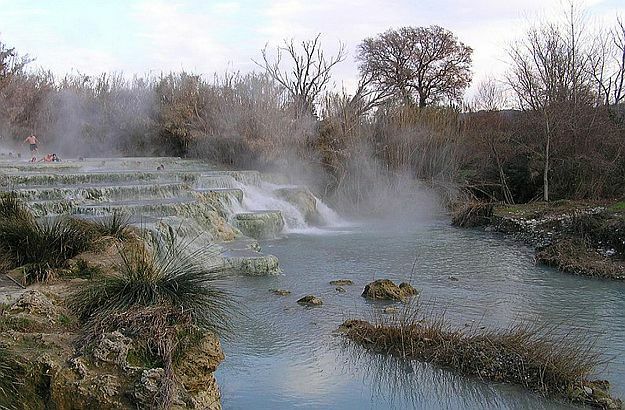 Saturnia is an Italian spa town which has been inhabited since ancient times. Set amidst softly rolling hills covered with olive groves, it is a little Tuscan jewel lying about halfway between Mount Amiata and the Mediterranean, and just a short jaunt from our lovely Trust & Travel Cavallini rental houses. 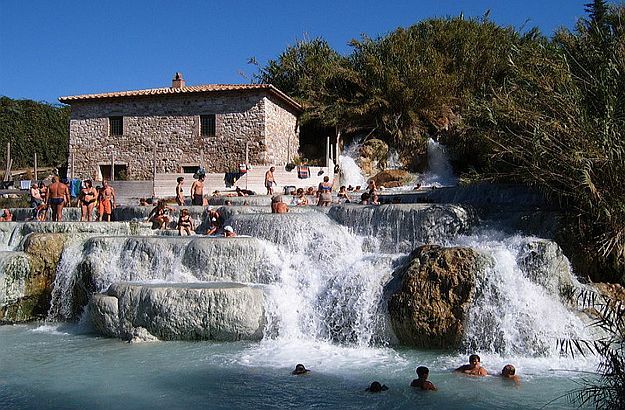 A well-kept secret until rather recently, the hot springs of Saturnia are today among the best known in Tuscany. They gush from the ground in a river filled with sulphuric goodness, pouring out at 800 liters per second and flowing freely for all to enjoy. 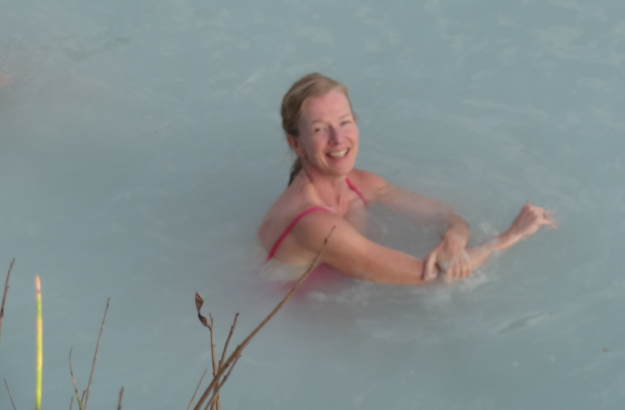 The temperature of the water is a constant – and very pleasant – 36 or 37 degrees! At a point called the Cascate del Gorello, the Gorello Falls, they start cascading over limestone shelves, offering bathers natural pools from which they can enjoy a splendid view of the open countryside. Massive rocks and verdant woods make the premises feel secluded, almost primeval. Located on public land, they can be accessed 24 hours a day. It is a great place to visit at night in summer, but also during the day in the cooler and even cold season. Italians traditionally go there on New Year’s Eve. 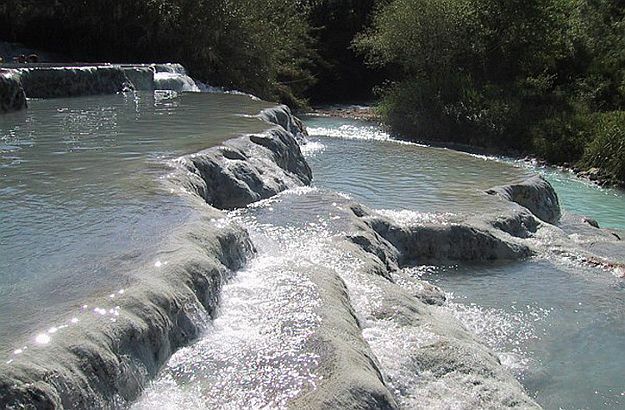 The Saturnia sulphur and calcium-rich waters are said to aid digestion, cure respiratory ailments, loosen muscles, relieve arthritis and repair skin conditions. Next to the springs, you will find spas and health centres where specific problems can be professionally treated, for instance through mud therapies and massages. As a testimony of its thermal importance throughout history, the town and area of Saturnia are rife with Roman vestiges: fortification walls, ancient columns, a well-preserved gateway and the foundations of a Roman bath complex, just to name a few. Put this on your list for your next trip to Tuscany!